It’s a tragic irony of significant proportions. On Friday, hundreds of thousands of Christians gathered in our nation’s capital for the 44th annual March for Life. With locked arms and hearts, those in attendance proclaimed God’s value for human life and boldly defended the cause of the unborn. Had I lived closer, I would have been there myself. But on the very same day, our country collectively turned its back on widows and orphans. We figuratively patted the heads of the hungry, thirsty, naked stranger desperately fleeing violence and war across the Middle East and Africa. To many, our cold shoulder might be temporary. But we looked directly into the eyes of those suffering the most and uttered something far worse. We told Syrian women and children we don’t care about them indefinitely. If Christians don’t speak up with as much fervor about our government’s treatment of the refugee, how much credibility will we have in our opposition to their treatment of the unborn? Most of us aren’t politicians. We don’t write columns for major newspapers. But God has given us a powerful platform in social media. As you wield this power, will you place your allegiance first with the Gospel? 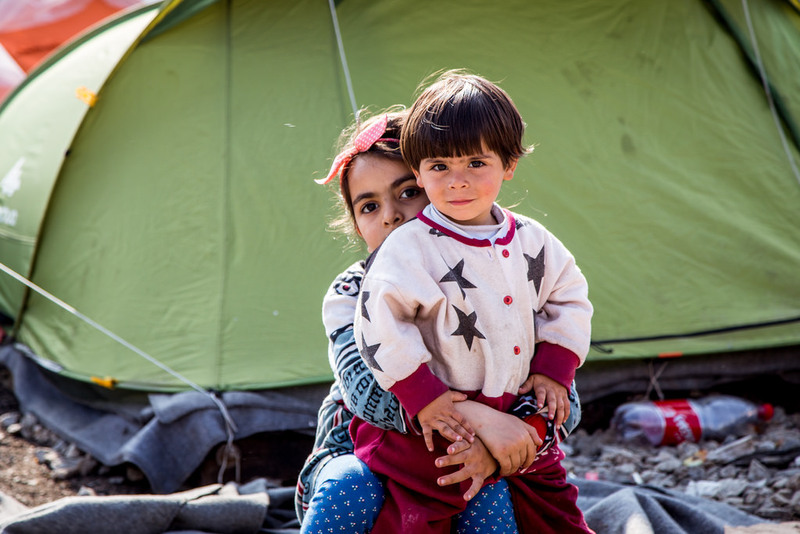 Will you boldly proclaim God’s value for the lives of refugees? Many will be silent or complicit for reasons that feel good. They’ll point to all the problems we face in our own country. They’ll proclaim that other nations can take care of these desperate people. They’ll say they’re protecting their own children from the threat of terrorists masquerading as refugees (even though any such threat is virtually nonexistent). But what passage of Scripture supports putting ourselves before our neighbors? What verse limits our neighbor to those within our borders? What book of the Bible delineates exceptions under which we can prioritize our own interests over the interests of others? Count me among those who refuse to be silent. Make no mistake, my passion and emotion aren’t a reflection of partisan politics or party allegiance. My love for Jesus compels submission to His Word. So with the utmost respect to the President and his position as the leader of this country, I plead with him to reverse course. I beg him to welcome the most vulnerable across the world with open arms in a dramatic show of American compassion. I don’t want my kids to hang their heads in shame when history records this moment. I don’t want them to compare me to the 61% of Americans in 1939 who opposed allowing Jewish refugee children asylum in the United States. Instead, may their hearts warm with joy as they discover their father cared equally for the plight of the unborn, and the refugee. Brian, this will be a tough sell, and I commend you for writing this. The cynic in me thinks that most Americans would rather cluck their tongues over a photo of a 3-year-old Syrian boy whose body washed up onshore than take up this cause. Dale Bourke’s periodic radio appearances are one way of keeping this issue in the forefront. So is this blogpost. The good news is, the ban might shake enough of us out of our complacency, and cause us to put word into action (to make a difference by contacting our representatives, opening our churches and communities by sponsoring [vetted] refugees, for instance). How many people in your own circle or listening audience would even know what the pogroms during the ’30’s in Germany were? Throw out the word “Kristallnacht” and I’ll bet you’d get a blank stare in return. Will they even have a frame of reference to your last paragraph? Well said, and great points. I know we share a passion for key issues in the present and the past. May the Lord break all our hearts for what breaks his. Thank you for your post and honesty this morning. With the rhetoric I have heard for Christians in the media lately, I have wondered if I was reading a different translation than other people. I don’t know where this protectionist “America first” attitude comes from in our Christian culture. I have seen the term “Americhristianity” used before and it seems to fit. But your discussion this morning before Matthew’s interview really touched me. Moody Radio has leaned more partisan as of late and your morning show has been a breathe of fresh air. Thank you for all you do. God bless! Well said, Nick. I agree with your sentiments. And thanks for the kind and encouraging words! Really means a lot. Wow Brian…I am sticking up for refugees on Christian sites on FB today…and I am getting beat up! By other Christians! I did feel like them at one point…but I’m glad to say you and Kathleen pulled on my heart strings during your radio show. Jesus loves the Syrian people as much as he loves the American people…no more no less. Why do we consider ourselves better than them? Or that we should only protect ourselves! One suggested I listened to too much “liberal media facts” Oh boy. I will continue to pray for those that need it, and hope everyone’s heart can do a turn on this subject…thanks! Thanks for the words of encouragement, and for what you’re doing! Sorry to hear about how others are responding. But keep your mind and heart focused on Christ, and do as the Holy Spirit leads. I disagree with your comparison of the unborn and the Syrian refugee. The comparison is a straw man that makes a false comparison. You are basically saying that defending the right for an innocent baby to live is the the equivalent to allowing Syrian refugee’s to enter our country. If we don’t allow the refugee in we are hypocrites in defending life. Babies die because of abortion. I am not supporting the murder of the refugee just because I believe in the wisdom of keeping out people from countries that potentially have intentions of doing our country harm. There are other ways that they can and should be cared for, temporally, until their safety is restored in their own country. Also, in your opinion, how many refugees do you think that our county should take in until Christian’s can be consistent in their stance on defending the unborn? 10,000, 100,000, 1 million or 10 million? The US needs to have immigraiton laws or we will not be a nation at all. I believe that God ordained nations. He also calls Believers to care for the downtrodden. That can be done many ways without opening up our boarders to the masses. Thanks for taking the time to read and comment on my post, Don. Looks like we’ll have to agree to disagree on a number of fronts.